Regular followers of this blog may remember my previous posts describing visits to the tin mining area of Penwith, near Lands End in Cornwall and the almost alien industrial archaeology there. If not, you can check them out here, here and here. Below are the two most recent mixed media artworks I’ve produced on this theme. 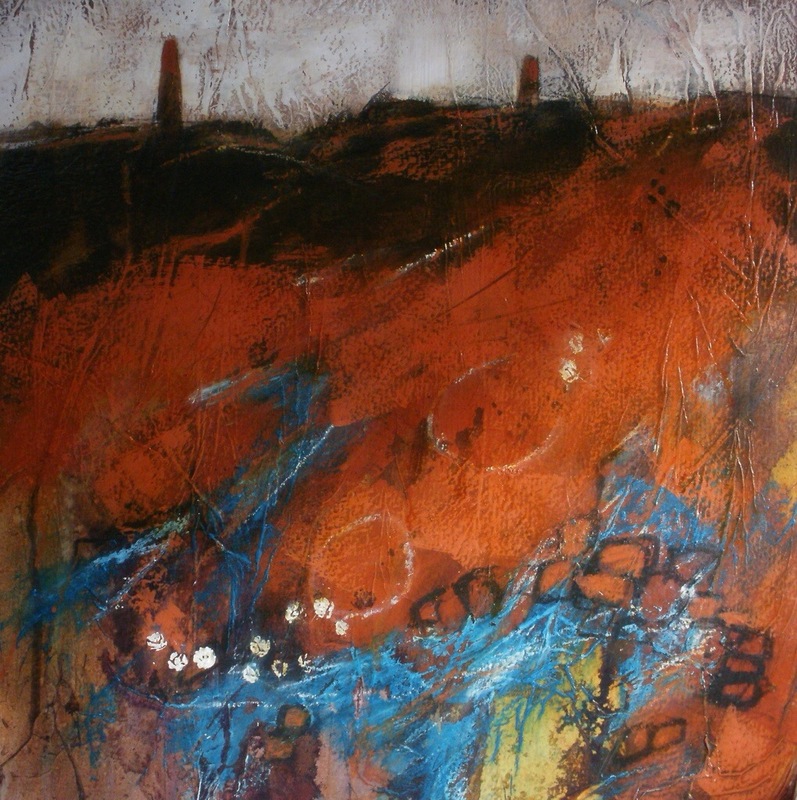 Again I’m exploring my response to the red iron oxide covered ground, the bright turquoise verdigris leaching from the copper adits where they emerge from the sea cliffs below the mines, the stark finger-like stacks pointing skywards. Acrylic paint, tissue, acrylic ink and inktense blocks have all been used. The support was Daler watercolour board, which will take quite a lot of wet media if adequately taped down. 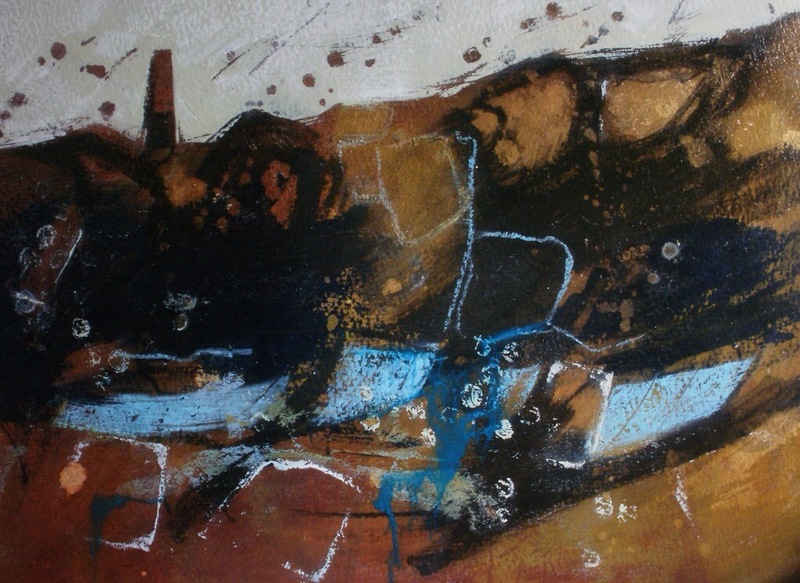 This entry was posted in abstract, art, Cornwall and tagged abstract, acrylic, acrylic ink, art, artwork, colour, copper, cornwall, industrial archaeology, ink, Inktense, landscape, levant, mining, mixed-media, ore, Penwith, ruins, tin, tissue by mari french. Bookmark the permalink.